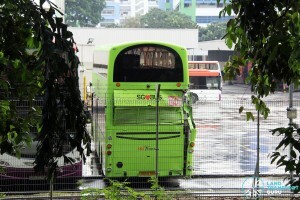 Bedok North Bus Depot is a bus depot under SBS Transit’s East District. 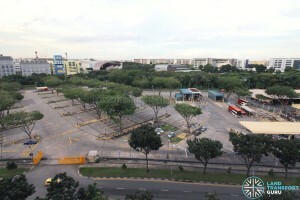 Located at Bedok Industrial Park near Simpang Bedok, it serves as a parking and maintenance facility for bus operations mainly around Bedok, Tampines, and Changi Business Park. As most pictures featured in this article were taken during the weekday peak hour, the usually crowded depot appears rather empty. 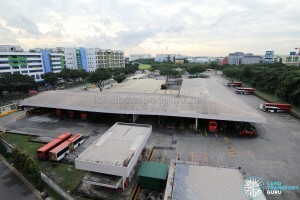 Bedok North Bus Depot (commonly abbreviated BNDEP) is a main bus depot located along Bedok North Avenue 4, within the Bedok North Industrial Estate just north of the Simpang Bedok residential estate. The depot supports bus operations mainly around Bedok, Tampines, Eunos and Changi Business Park. The main depot building contains offices and a canteen, and next to that is a sheltered bus workshop for repairs and maintenance works. 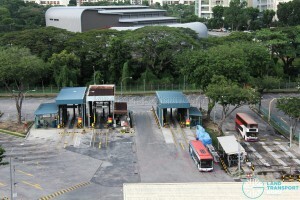 A sheltered bus refuelling point with multiple refuelling lanes is located next to the main building, along with an automated bus washing machine. 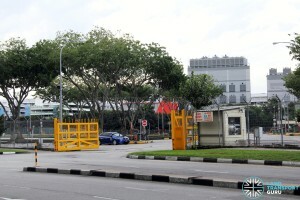 A combined vehicular entrance and exit leads to Bedok North Avenue 4 with a side gate that also leads to the same road, opened only when necessary. The adjoined bus park occupies the most space within the depot, with hundreds of parking lots for buses. Bus Service 48 is the first bus route to use the depot as a terminating point, after a route amendment in December 2011 extending the route from Upper East Coast. 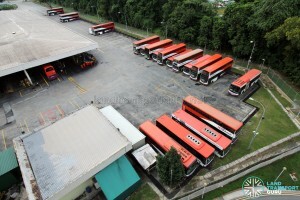 Previously, before the commencement of the Loyang Bus Package, the depot served as a turnaround point for Shortworking Trip 17A. 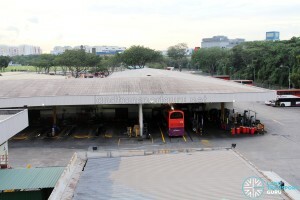 Bedok North Depot was built by Singapore Bus Services (SBS), commencing operations in December 1982 after the company moved out older facilities in the Eastern area. 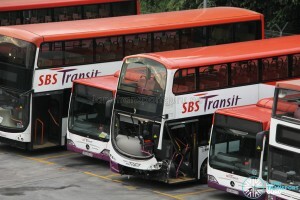 Before its opening, SBS buses were parked at both Changi Depot and Bedok South Bus Park. 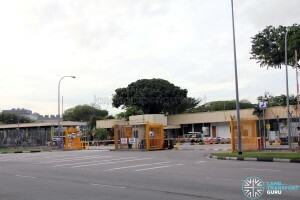 Changi Depot was located at Upper Changi Road (13.5km) near Jalan Tapisan Ayer, the current site of Anglican High School. 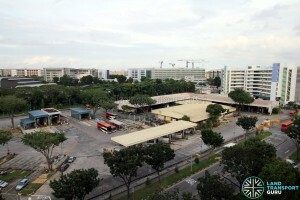 The other, Bedok South Bus Park, was located along Bedok South Avenue 3 and near Upper East Coast Road, the current site of Temasek Primary School. The latter was built in close proximity to residential areas and the subject of many noise-related complaints. 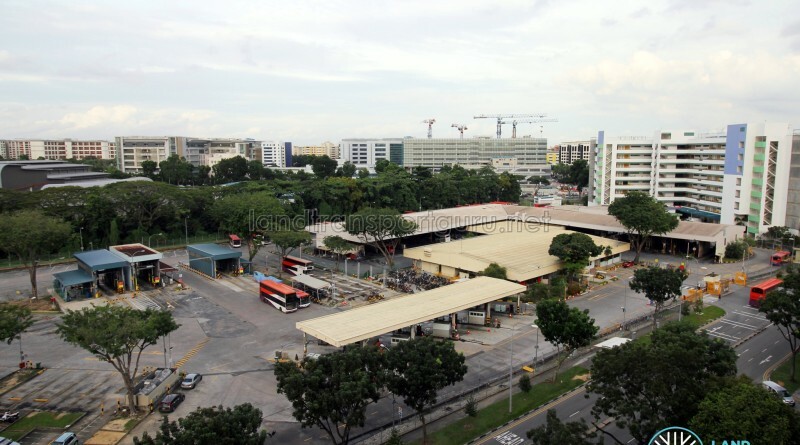 As part of SBS’ efforts to relocate bus depots to areas away from residential areas, Bedok North Bus Depot was built within the Bedok North Industrial Estate (and a considerable distance away from nearby residential blocks), reducing the noise pollution affecting residents. The depot occupies 6.2 hectares of land (recorded as 62,220 sq m) and was built at a cost of $12.6 million, equipped bus park, bus washing and refuelling equipment, a spray painting booth, servicing & maintenance facilities, and ancillary offices. 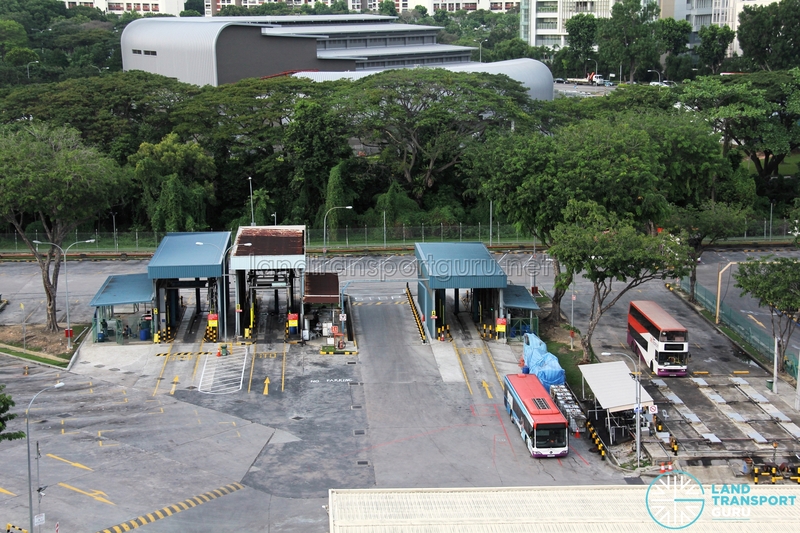 In mid-2013, BNDEP became the maintenance and refueling point for buses stationed at the new Changi Bus Park, which relieved the insufficient parking space at the depot. 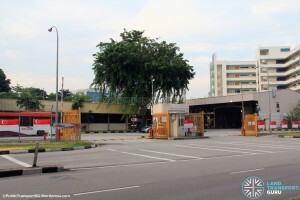 Changi Bus Park closed down in December 2016, but by then, the commencement of the tendered Loyang Bus Package relieved capacity of BNDEP by taking over bus services in Pasir Ris, Changi Village and Changi Airport previously under its control..